Now that the hot weather here in Florida has come into full swing, my cravings for something cold have been tremendous! Of course I would love to reach into the freezer for a scoop or three of ice cream, but we all know that isn’t reality. To save my waistline and all of the added calories that I would consume from eating delicious frozen sweet treats, I decided to whip up a chilled protein smoothie. Place almond milk, protein powder, coconut oil, and cocoa powder into the blender. Add ice and blend on high until all ingredients are fully combined. Pour into a glass, top with coconut flakes and enjoy! 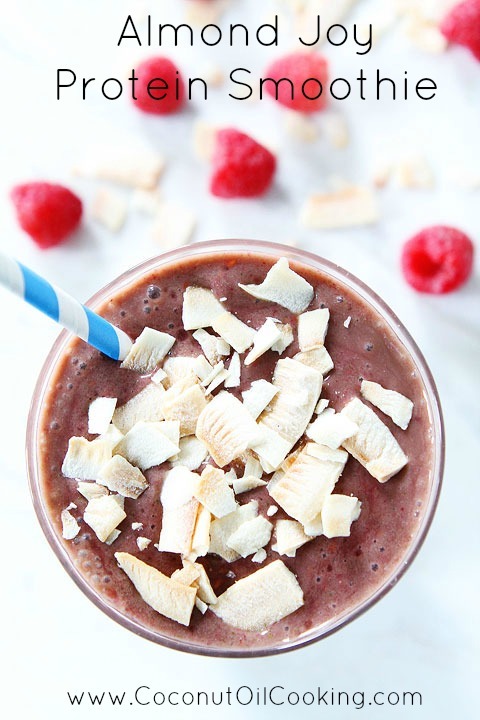 With this smoothie, you can also add instant coffee or a shot of espresso for an added energy boost! 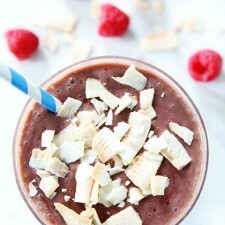 I also tend to add extra unsweetened coconut flakes to the smoothie for added flavor – so yummy. For more protein smoothie recipes, be sure to check out our bananas foster and avocado-nut smoothie recipes.